Prior to our arrival in Jordan last week, I had countless conversations with Sera about our plans, our goals, and how to prepare for this journey. While the rest of the COHI field team has worked in numerous crisis settings, this would be my first experience in a refugee camp. I hoped to learn first hand about the complexity and difficulty of coordinating relief aid and help COHI find it’s role in the process. I was determined to prepare myself as fully as possible. Though I’ve studied humanitarian emergencies and worked in the developing world, those experiences could not prepare me for the people and places we would see. The camp is dusty, chaotic, and overwhelming. The tension, especially among the young men, is palpable and curious eyes follow us wherever we go. They ask what we’ve brought them, how we can help. We hear arguments, babies crying, children singing, and the rumble of trucks moving supplies in and around the camp. There are children everywhere and so little for them to do. We step over holes that families use as makeshift toilets. Simple needs are insufficiently met, but there are shops selling cotton candy and satellite dishes. It occurs to me that there are people who profit from this suffering. We hear stories of riots that break out during aid distribution. One relief worker compared the women to WWE wrestlers, physically brawling with each other to provide food and supplies for their families. Though we laugh at the comparison, we are sickened by the thought. While many of their husbands remain in Syria, fighting for their country, the women of Za’atari are fighting for the survival of their families each day. For all the despair that we witness, we also see the hope and joy that children bring even in the toughest times. They are still laughing, playing, and learning. They ask to be photographed and giggle as they strike different poses. They want to be remembered. A young mother hands her baby to me proudly, his delivery was just one month ago. He is wide-eyed and calm, having just nursed in the feeding center where we sit together on the floor. Though she is barely 20, this is her second baby. She says I must hurry and catch up, I should have at least 3 babies by my age. This child is her blessing, and gives her focus and purpose for the time she must spend in the camp. She speaks of leaving Syria and wonders when or if her baby will live there. For now, this will be the only home he knows and though it is a difficult place, his mother will fight for him. 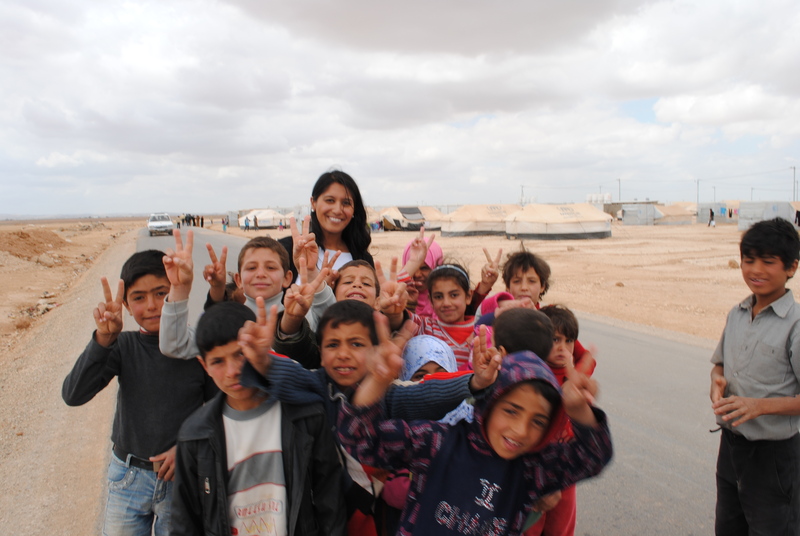 As we left Za’atari, Sera asked me if I could work there every day. No, I don’t think I could. And beyond that, I could not imagine being forced to live there, facing the daily struggles with no end in sight. What I saw at the camp was difficult because it all seemed so temporary, and it’s not. Eight months have passed, seasons have changed, people have come and gone, and babies have been born but the dream of a new beginning is still elusive. As I prepare to leave Jordan and return to the normalcy of my own life, these mothers must brace for another day of old and new challenges. As they soldier on, I believe COHI will fight for these mothers when few others can, and it has been my great privilege to share in this journey. This entry was posted in Jordan, Middle East. Bookmark the permalink.